Ancient enemies at war have brought ruin to the galaxy. A final act of desperation has caused the folding of space and time, destroying all but a small star field of systems. Within that star field, on the free planet of Orion, you have been recruited to stem the tide of pirates who have blockaded their small sector of space. However, it is what is beyond those pirates that will change your destiny, and the universe, forever. Beyond the Edge uses the "Evolve/Beyond System." This is an innovative method of allowing you to keep all that you have obtained during each game for the next, allowing you to have individual stories that are specific to your character and that progress independent of your allies. 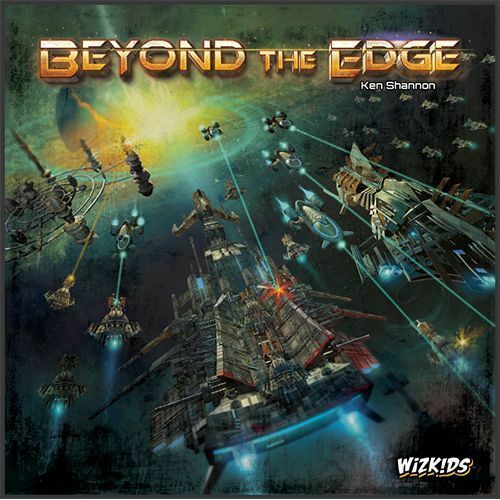 Beyond the Edge has a remarkably easy-to-learn game system in which rules and story develop as you play, allowing casual players to learn as they go. However, for gaming veterans, the faction system of Beyond the Edge creates a dynamic play experience in which the races and groups you ally with not only change your objective, but your special abilities and upgrades as well! But wait, there's more! With the "Dry Dock System," you can even jump over with your ship, captain, and missions to play in other players' games, creating an ever-evolving gameplay experience.